Coriander (Coriandrum Sativum) is a herb that is used extensively in Asian and Western Cuisines. It is also known as cilantro or dhania or Chinese parsley. It is native to Southern Europe and North Africa to South Asia. It grows as a small green plant and every part of it is edible and find its use, especially the leaves and seeds. Because of its strong flavor, it is an integral part of many cuisines across the world. Apart from delighting our sense, coriander is also known for its medicinal or therapeutic properties and coriander leaves and seeds are used as home remedy for treatment of various ailments. The leaves are used as home remedy for digestion. It helps in alleviating irritation of the intestines. It also helps in stimulating appetite and easy digestion. For this, one can consume coriander as a paste along with rice. This paste is created by mixing coriander, black pepper, rock salt, and cumin powder. Coriander leaves are rich in magnesium, potassium, fiber and antioxidants, and its consumption helps in purification of blood and boosting up of immunity. It helps in detoxifying the body. It possesses anti-diabetic and anti-cholesterol properties. Coriander helps stimulate the production of insulin, which helps in lowering blood sugar levels and hence is useful in diabetics. It is good for heart too as it lowers the bad cholesterol levels and raises the good cholesterol levels. It has pain relieving property and it helps in soothing rheumatism and arthritis pain. Coriander leaves are used as a home remedy for headaches. 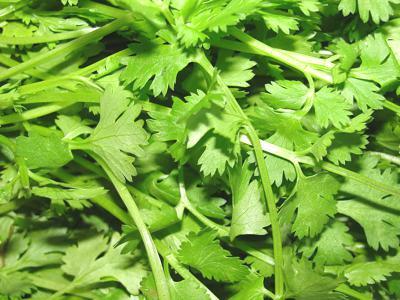 Paste of coriander leaves is applied to the forehead and temples for fast relief from headache. The leaves are used as home remedy for mouth ulcers as well. Paste of coriander leaves is applied on to the mouth ulcers 2-3 times a day for relief from mouth ulcers. It is known for its anti-bacterial and anti-fungal properties and it is also used as a home remedy for treating bacterial and fungal infections. 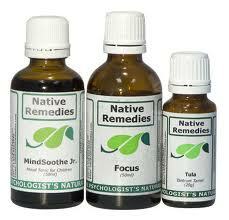 It is effective in treating menstrual cramps as it is an effective pain relieving herb. One needs to boils a few coriander seeds in a cup of water and drink the liquid. It is an effective natural remedy for this. Coriander is an effective home remedy in treating stomach ache as well. For this, coriander powder is mixed in water and boiled. Some sugar can be added to it and the mixture is consumed. It is has anti-inflammatory properties as well and it is effective in treating urinary inflammation. For this, a mixture of coriander powder and amla (Indian gooseberry) powder is added in 1 cup of water and blended. The resultant mixture is filtered and consumed for a week. Coriander is prepared and consumed in several ways and for different purpose the preparation would be different. The leaves can be consumed by garnishing them on various dishes. Paste of coriander leaves is a common form of consuming it directly as a food. Coriander paste is also applied on the forehead for relieving headache and it is also applied in mouth for treating mouth ulcers. It is also consumed in form of power made from coriander seeds. This powder can be added in various dishes as a herb for regular consumption. The powder is also added to boiling water to be consumed as a drink for various home and herbal remedies. 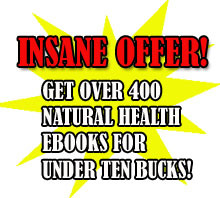 The plant is largely free from any side effects and is perfectly safe to consume. However, coriander can cause allergic reaction in some people and they should be careful with its consumption. Also, excessive dosage of coriander is known to cloud mental clarity. Coriander is nature’s gift to mankind for its various health benefits. It is not just useful in adding flavor to your food; it helps in treating various ailments in a natural way, without causing undue damage to the body as many medicines would do. Now science is waking up to the benefits of this magical herb which has been used for centuries in traditional medicines.